It's a type of ham. It's delicious. It is not healthy,but it is delicious. Did not think that I would see that on Rafa's table. It's Iberian ham. 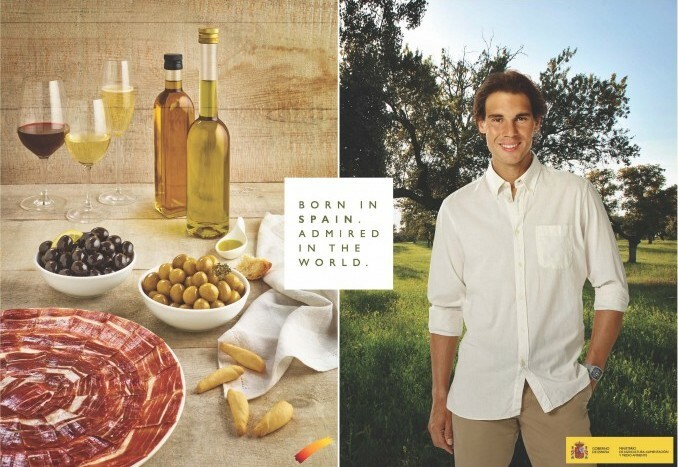 Rafa is the face of the campaign to promote Spanish food around the world. It means that you lack information about Rafa. ^Good to see the foot isn't bothering him. Injury is what worries me the most at AO. He's had so many physical problems during that event in the past! And that is where losing sets left and right could become a factor. He needs to win at least some matches in straights. Maybe he should lay off the gluten. He is not an asthmatic. I know, but I feel like Nadal could be eating a lot better than he does, regardless of allergies, conditions, etc, the better you eat, the more it can help your performance. How do you know how he eats! I haven't heard that foods cause him problems. Oh lord, not worth it. never been a fan of swine meat. RAFA doesn't rely on diets to win 14 slams. He doesn't even need a proper foot on his leg. I have heard that it's dependant on religion. Maria picks Nadal over Federer. She also picked grass over clay and picked carrots so that makes a lot of sense. She is taller than both Raafa and Roger, she also has a thing for beautiful ladies. Personally for me its related to taste,smell and health. Rafa has definitely bedded Maria along with most attractive players on the female tour while there have been whispers for a while about Roger's orientation for a while, so this does not surprise me. The AntiRafaBrigade is keeping its eyes on Rafa. It's a puzzling thing! Looks like it,but it is prosciutto. You sure? Looks way too cured to be prosciutto. I've just finished mine a few minutes ago and is pretty much the same one like on that picture and I think Rafa is sponsored by some manufacturer of prosciutto. I think Octobrina knows it better than me. Rafa will earn 1.4 million euros in 2 years to promote Spanish food products in the international marketing campaign by Spain's agri-food industry - "Born in Spain. Admired in the World." nothing new. Just the usual. Just out of curiosity, if one of those two guys ended with superior H2H would that make HIM the "better man?" Stop. Nadal is terrible right now and he should forget about winning any big tournament unless he gets a new coach, and progresses quickly. Even that is unlikely. He is not even fun to watch anymore, so it doesn't even matter. It's not entertaining. If you watch the USO 13, AO 2009, USO 2010 you can see exactly what makes him entertaining in terms of his tennis and mentality. I'm being objective. Nadal is declining fast and it is largely his fault for being so reluctant to even consider a coaching change. So why cheer for him? It's not 2010 or 2013 anymore, but he doesn't realize it. New coach can't make him fix his forehand. Nadal knows he has to have an offensive attitude instead of defensive. That's what it looks like on the surface but tennis is a complex game. It would be best for him if he can get at least some things sorted it out with a new coach. who would he hire that can really really help him ? and I mean really help him to win another major........ otherwise it is no help at all. SO I ask you. 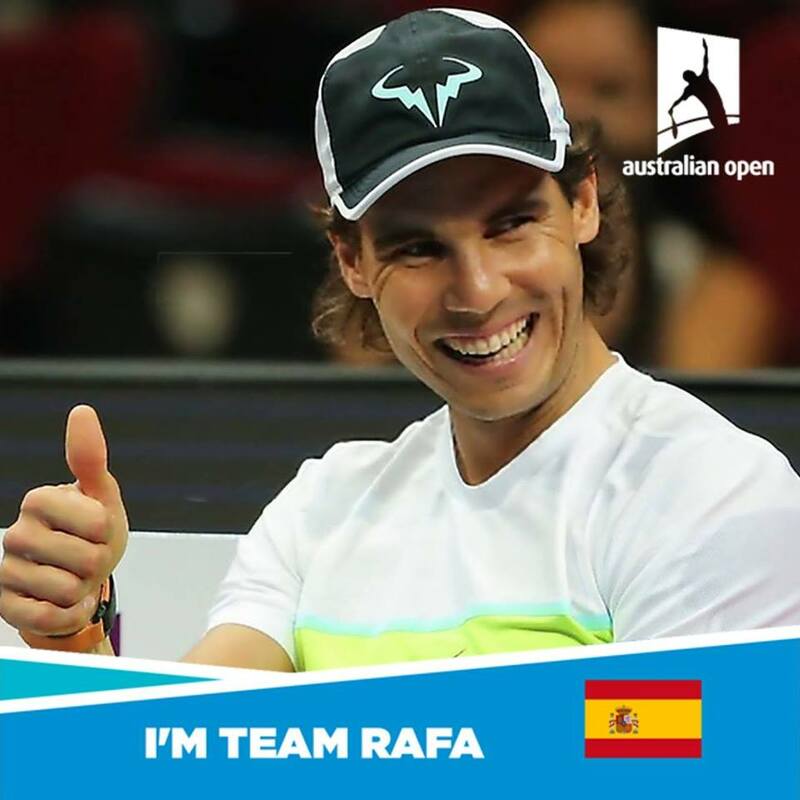 Which Coach out there can bring Nadal another major championship ?????????????????? Ok, I will bite. so What would Agassi bring that will get RAFA that one more major ?? Well, french open is Nadal's best bet and Agassi has won it. Also, he has experience with winning slams in the latter part of his career(after age 30) and is an intelligent recently retired player who can motivate Rafa kinda like what Lendl did with Murray. Agassi gets my vote as well. A pro who's been in Nadal's shoes... From the precipice of retirement to getting his s*** together and playing the best tennis of his career. Nadal needs Agassi.